Use these beautiful stickers to embellish, design and create pictures, notebooks, cards or trade with friends. 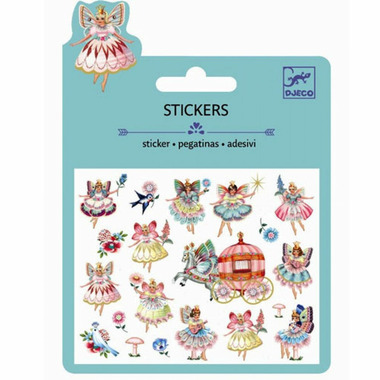 1 sheet adorable fairy themed stickers are puffy and create a 3D effect. Cute, detailed stickers. Would buy again! Cute, delicate stickers that my 3 year old loved. If you have a fairy-loving youngster, this is a sweet little gift.